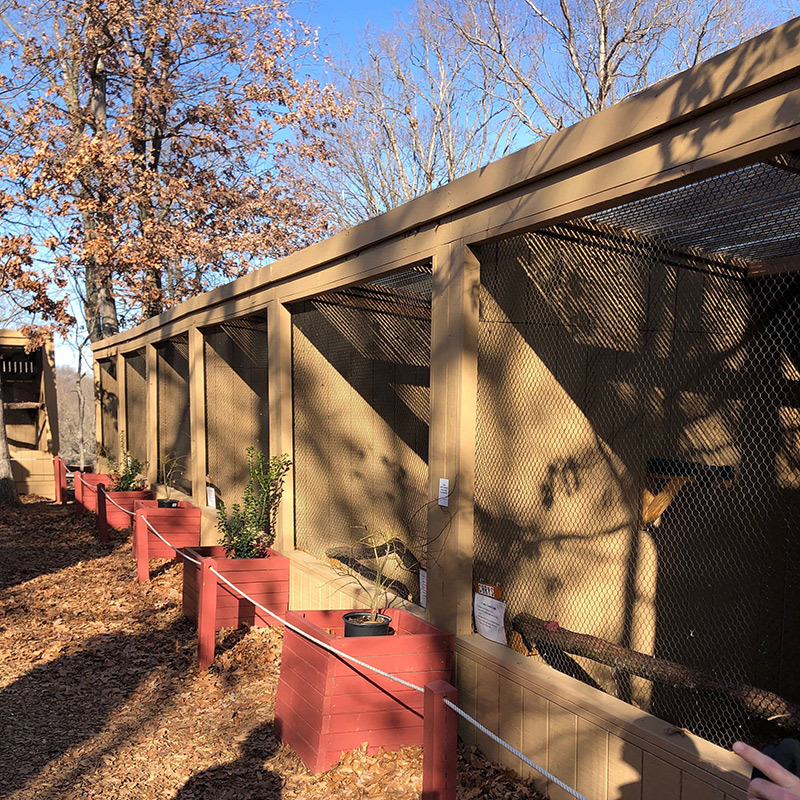 On January 9, 2018, staff from the American Eagle Sanctuary traveled to Valley Park, Missouri (about 20 miles from St. Louis) to visit the World Bird Sanctuary. 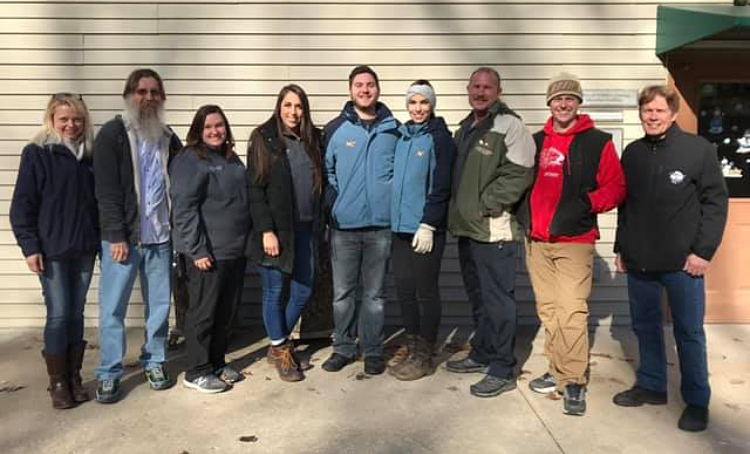 This was a great opportunity to tour their facilities and meet their dedicated staff of executives and trainers! 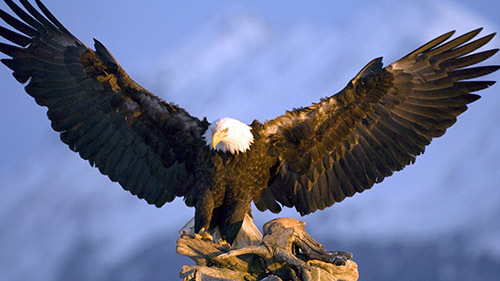 We look forward to hosting staff members from World Bird Sanctuary in a reciprocal visit to the American Eagle Foundation in the near future. 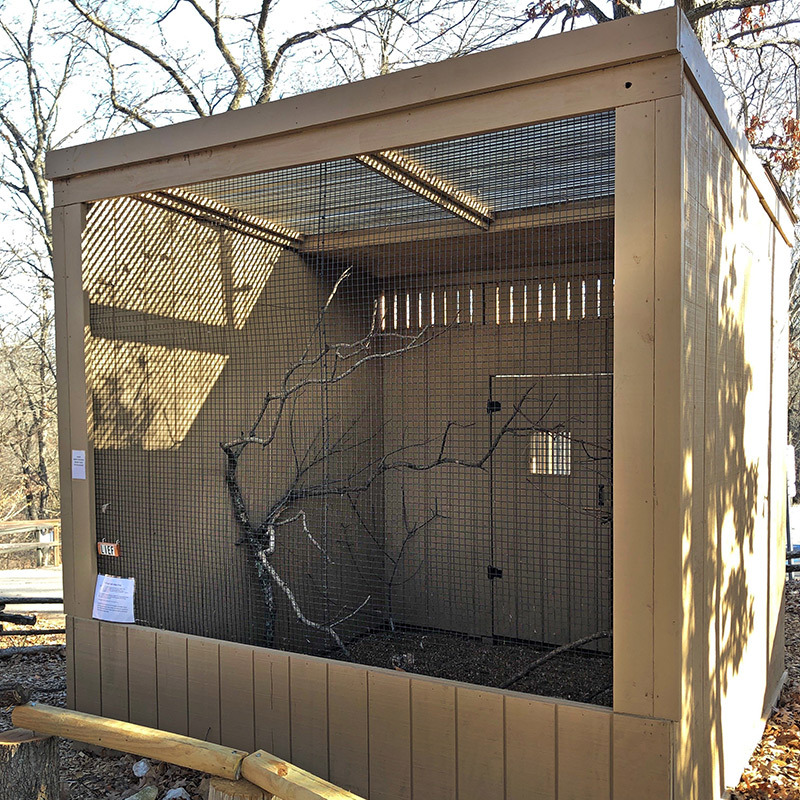 Public viewing inclosure for many different bird species at the World Bird Sanctuary. 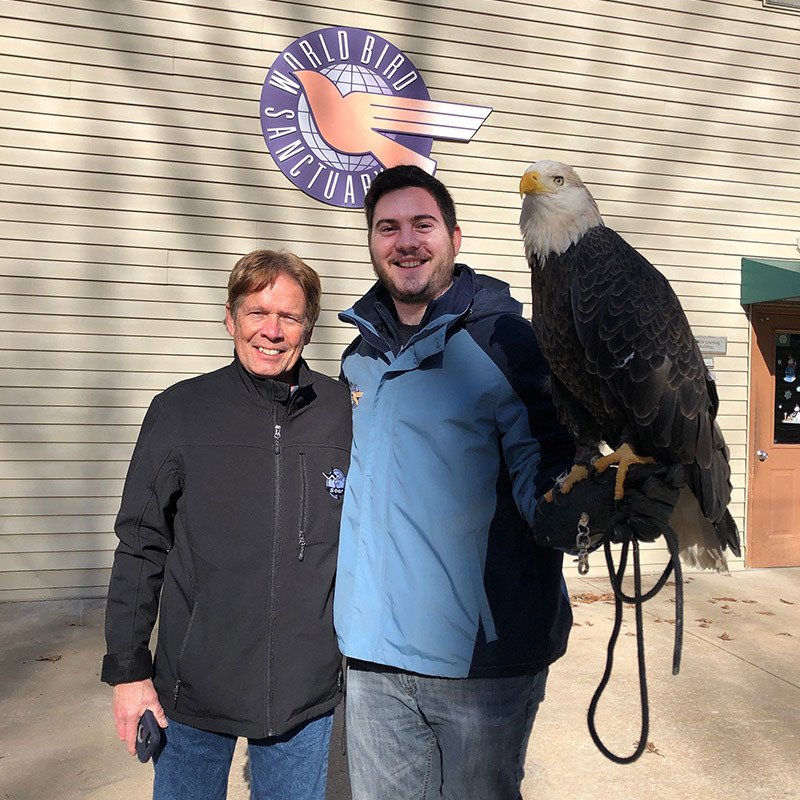 John Stokes, AEF Board Member & Founder of Wings to Soar; Daniel Cone, WBS Curator of Science & Conservation; with Bald Eagle Liberty. 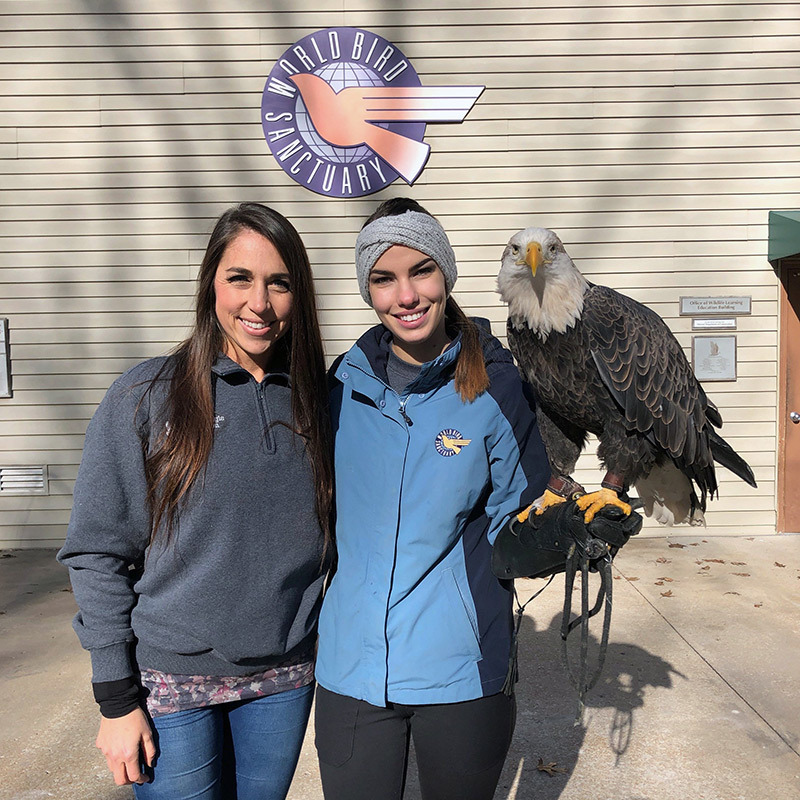 Laura Sterbens, AEF Director of Public Relations & Social Media; Paige Davis, WBS Curator of Bird Training; with Bald Eagle Liberty. 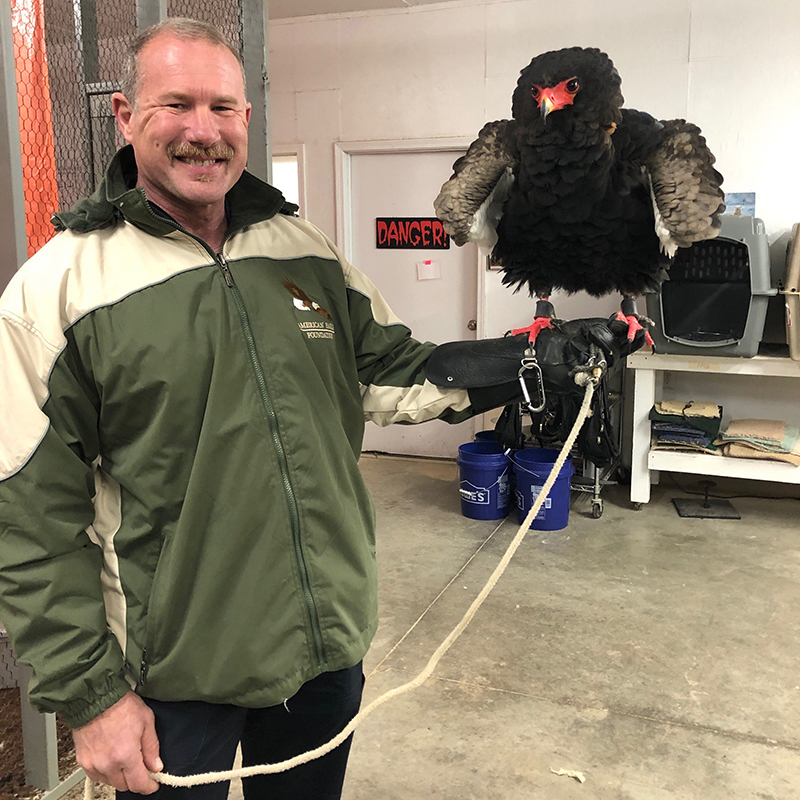 Spencer Williams, AEF Chief Operations Officer, with Tsavo, a Bateleur Eagle. 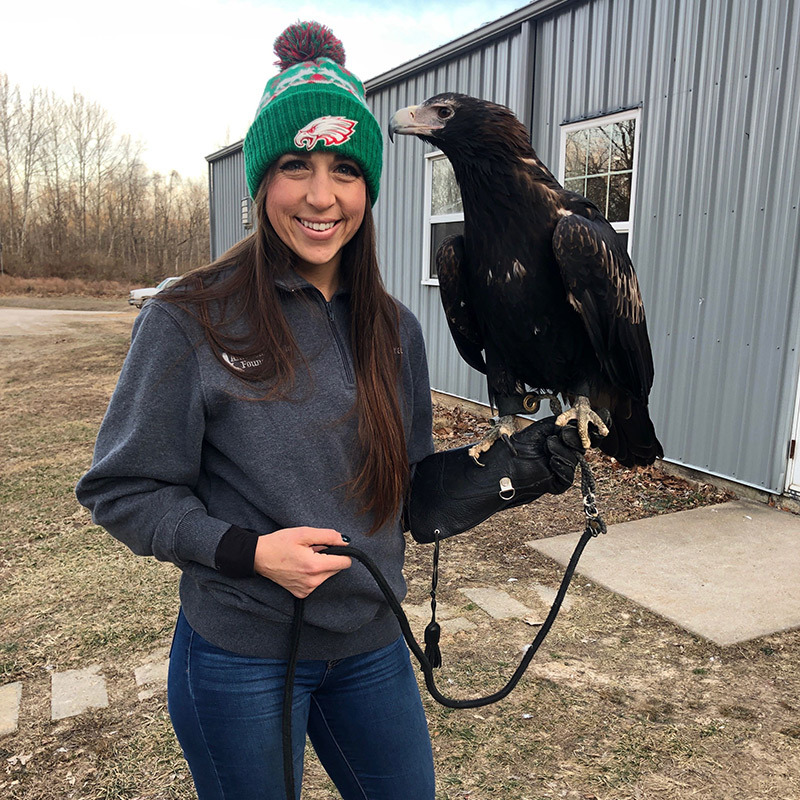 Laura Sterbens with Wedge-tailed eagle Duncan.